Just because it’s the place where you bathe the kids and get them ready for school in the morning, doesn’t mean that the bathroom can’t be stylish. In fact, it pretty easy to get a stylish modern bathroom in your home, if you follow the guidance below. So keep reading. One of the best ways to make your bathroom is stylish, as it suggests at Ideal Home is to get the bathtub right, and what is more stylish than a freestanding bath? These are baths that aren’t built into one side of the room or a corner but go all the way down to the floor. They are the type of bath you get in high-end hotels and can really give your bathroom that luxury factor. You can choose from sleek modern designs that are all straight up and down, or go for something with a bit more of a vintage vibe like these roll tops baths. If you can work it in terms of the plumbing try to leave a space all around the bath, for that extra stylish feel. Once you have your bath picked out, you will need to get a bathroom suite that fits in with that aesthetic. You can get some help with this at which reviews. Bathroom suits usually consist of toilets and sinks. 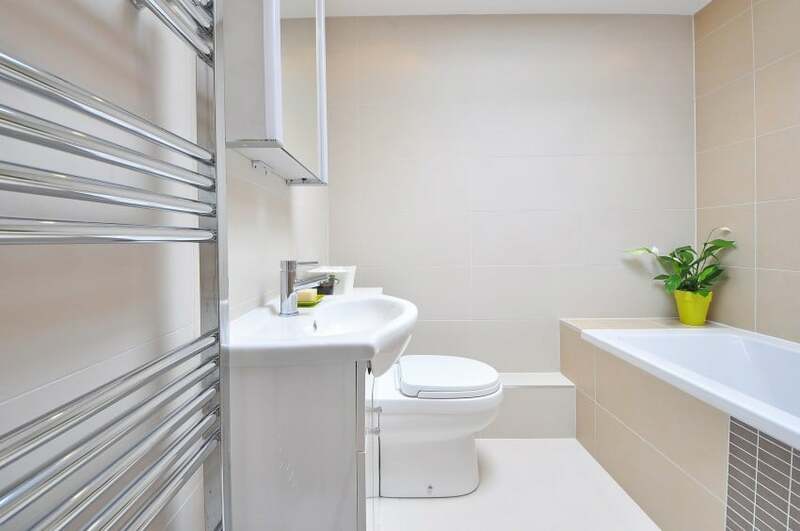 While thinking about toilets may not seem that glamorous it is necessary to get the design right to ensure a stylish finish to the whole bathroom. White is always the right colour, and don’t let anyone convince you otherwise. Modern suits are very popular now, with their rounded square corners. As they look neat and tidy and don’t impinge too much on the room. You can even get low profile toilets where the flush mechanism is compact or even hidden in the wall behind to minimise their impact. When it comes to sinks or wash basins, it used to be that pedestals were all the rage. However, the need for additional storage to keep surfaces clear in the bathroom means that wash basins on counter tops have become much more popular. Luckily, these are usually a pretty stylish option too. Consider flat bottom basins, or even ones in unusual materials like glass or copper, to add a little character and interest to the room. Of course, in the bathroom, there is always the balance between style and personality that you need to strike. Luckily, a heated towel rail is a feature that can do both. It’s practical because what is nicer than getting out of the shower and being wrapped in a soft, warm towel? It’s stylish because there are all sorts of designs you can get. Such as the ones from the selection at http://www.onlyradiators.co.uk/blog that are available in mirror or matt finishes. Meaning you can easily find one that looks great and will fit in with whatever stylish look you go for. Another feature in the bathroom that needs to be stylish and practical are the walls. This is due to the heat and humidity in the room, meaning special wall treatments like tiles and waterproof paint are often needed to keep things looking pristine. However, just because a little more thought needs to go into how to treat the wall in your bathroom, it doesn’t mean that they can’t be stylish. If anything it means that you have more options to choose from. Options, such as tiles. Like the clean retro look of the underground tile available at Walls and Floors. Or paint the bathroom, with some tips from Brewers and using something the wide selection of bathroom-safe paints now on offer. Another must have on the list for styling your bathroom are mirrors. Of course, you need them to shave or do your makeup in, but they can also add a lot of to the room in style terms as well. 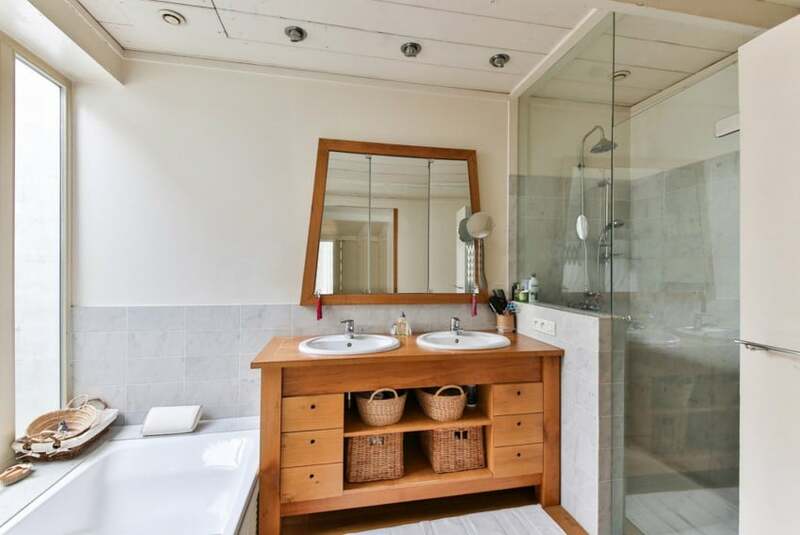 Use large mirrors to make small bathrooms seem bigger. Use framed mirrors to create a focal point in the room. The frame dictating the tone of the design, with a chunky gold rococo frame for luxury, and a simple bevelled edge for a more minimalist style. Lastly, although there is some controversy over using decorative features in the bathroom, they can, in fact, work really well. As long as they a treated carefully. That means clutter is out because not only is it an eye sore, but it’s also unhygienic. Think instead of framed prints that elucidate a scene of calm and relaxation, while also being super stylish. Something like the marble designs at Desenio could work well. Wow! These are all beautiful bathrooms. I would love to have one of these and those functional features. Such an inspiration. Thanks for sharing! Amazing! 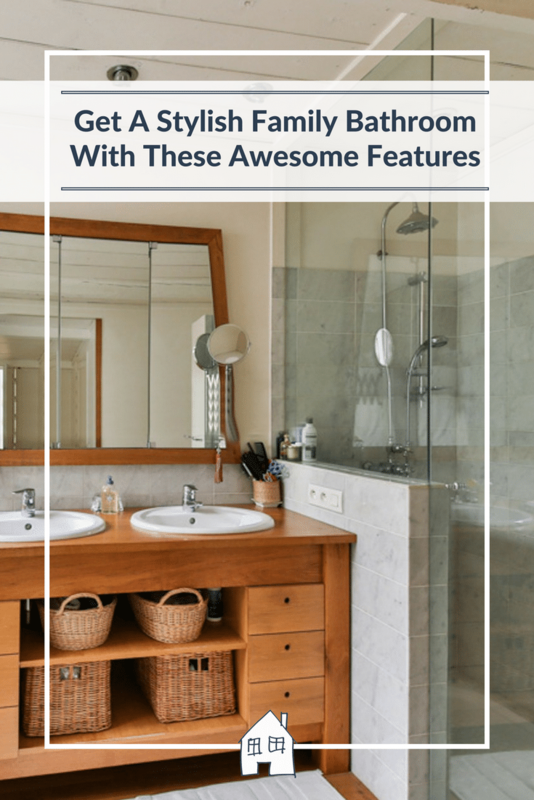 !it really is a fantastic feature for a family bathroom.Love this post, so much inspiration! I really want one now! I am a huge lover of free standing baths and heated tile rails too, I love my baths and these ideas for a stylish bathroom are just perfect. I think I want a freestanding bath even more after this post, and peoples comments! I would love a freestanding bath, I think they look so stylish – and deep! Yes I think my next house needs to have one!! Oh yes I can imagine now what that would be like with kids!! haha!! We didn’t have a shower for a year when we moved in here, and I hated it! Oh how lovely, maybe one day?! It’s funny I know but I don’t like white bathroom ceramics, they remind me of hospitals. I miss the coloured ones. Of course it’s very limiting if you go off it. When we moved in we had turquoise bathroom suite! It was rather bright!!! Fab, have a great move and enjoy your house! A freestanding bath is on the top of my list for our bathroom we have been talking about it for an age it really is a fantastic feature for a family bathroom. Oh lovely, how lovely to have one, make the most of that! The bathroom is such an important room as it’s where many of us go to relax. 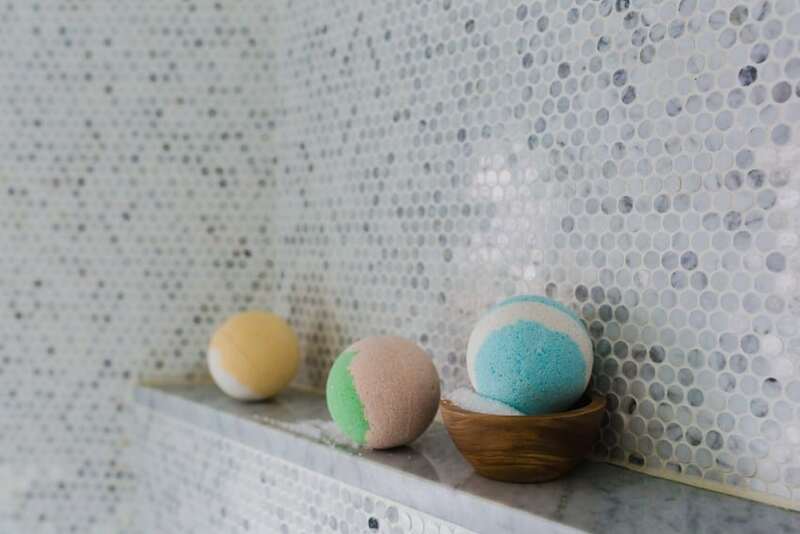 Whether it’s a shower or a bath, you want to get out feeling slightly more human with a smile on your face, and beautiful surroundings can definitely help. 100% agree, we got rid of our bath for a larger shower, however I wish I could pop in their away from everyone and have a soak! I would love one next to a window, over looking my garden and fields surrounding me!!! Yeah dream on Steph!! Yes we got rid of our bath, as our bathroom is so small. We got a larger shower instead of a bath!